A friend recently mentioned that he was growing potatoes. I got very excited and asked if he was growing them in towers, potato bags, raised beds, or hill-and-mulch. He looked at my blankly for a moment, then explained: "Whenever a potato starts growing, we throw it in the side yard. They're growing." 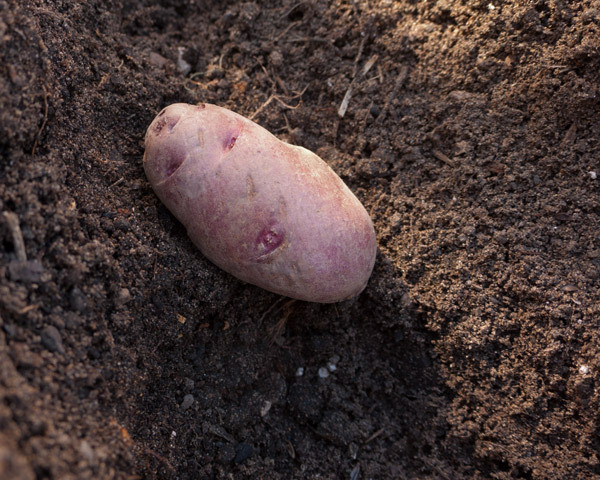 Potatoes are incredibly easy to grow. I jumped on the bandwagon last year, growing half a dozen Yukon Gold potato plants. The potatoes I harvested were the best, fluffiest, crispiest, most delicious potatoes I have ever eaten. This is assuredly not due to any special skill or technique on my part. 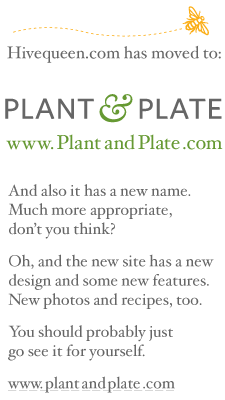 This year, I'm trying three new varieties, chosen using my proven system of going to the nursery and choosing ones with tasty descriptions and/or funny names. I went with Rose Finn Apple, Cal White, and Red Thumb. Your local nursery will have potatoes chosen for your local growing conditions, or you can order online. Or, you know, plant those ones that are sprouting on your counter. You should absolutely grow your own potatoes. It doesn't take a lot of space, and you can even grow them in containers. 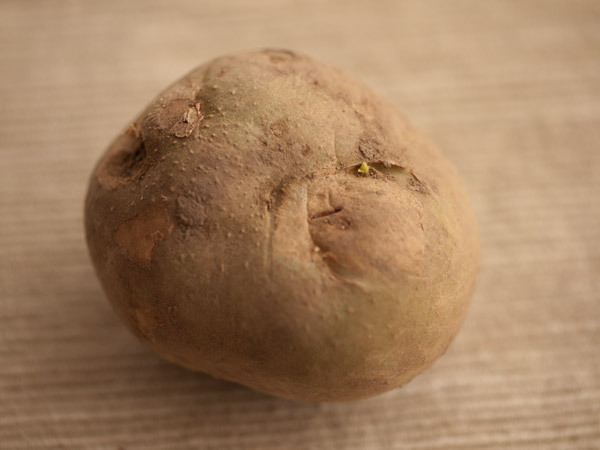 "Rose Finn Apple" seed potato. I always thought potatoes needed lots of space and deep soil. Nope. Apparently you can plant them as close as a foot apart. 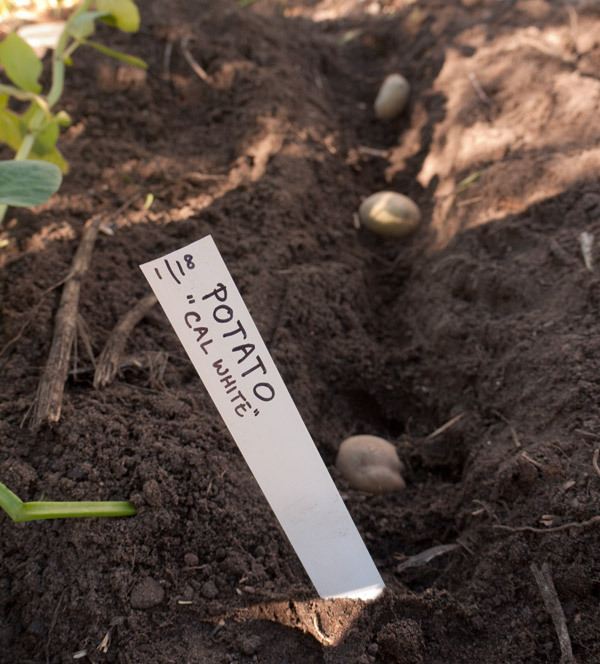 The trick is "hilling" — plant the potatoes in furrows, and as the potato plants grow, keep piling soil or mulch (straw, dead leaves, compost) around the stems and leaves. Potato tubers form around the buried stem, nestled in the mulch or soil. I've got 27 seed potatoes in a 9x3 area. According to my calculations, this should yield somewhere between zero and a hundred pound of potatoes. Whatever kind of container you use, put a few inches of rich soil or compost or container planting mix in the bottom. 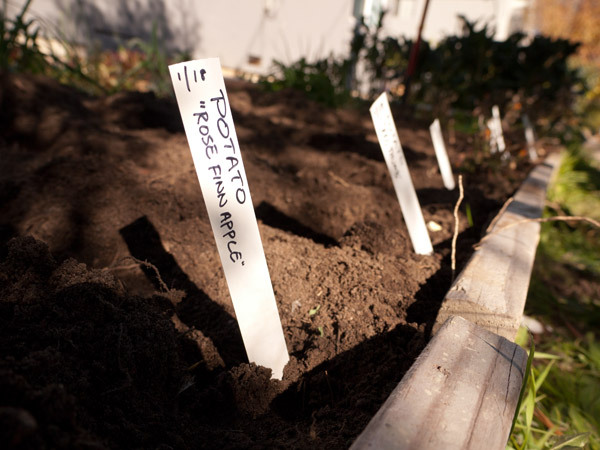 Add 3 or 4 seed potatoes and cover them with another few inches of soil. 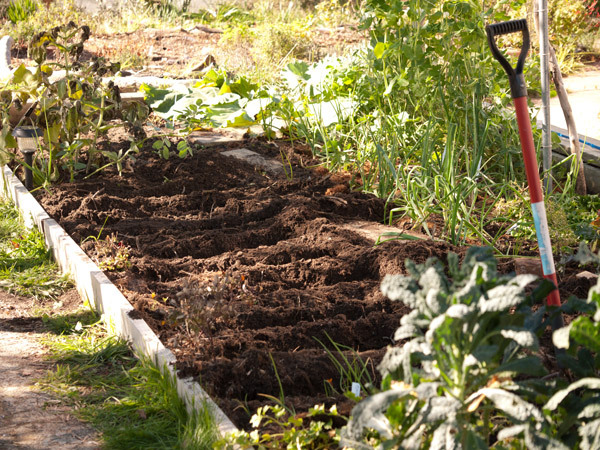 As the plants grow, just keep piling mulch, compost, or more soil around them, covering 1/3 to 1/2 of the new growth. At the end of the season, you can just tip the whole thing sideways to harvest.